A quality steering wheel handle / driving aid which is clamped securely to your existing steering wheel in your car, lorry or van. - Easy steer steering wheel driving aid. 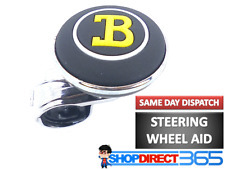 Universal Steering Wheel Knob Handle - B LOGO. Remove (twist, unscrew) your old original factory gear knob from shifter shaft. Once installation is finished, ensure the gear knob is firmly attached to the shifter shaft and the gear shifter is working correctly. Cobra Imola S - Seats Pair. COBRA Clubman Bucket Seats Pair Black. Used condition, been in a barn for some years so will need properly cleaning. Few tears and marks and a repair to one arm as per photos. Collection in person only. A pair of classic styled bucket seats mounted to adjustable runners. The seats don’t have any markings to say what they are but they look like the classic Cobra bucket seat to me. The black vinyl is in very good condition with no rips or tears, there are some smaller marks on the white piping, I have included my finger in some of the pictures to give an idea of scale. They came out of a Beach Buggy, but they could be useful in all sorts of things, kit cars, minis, etc. The runners aren’t great, so they are being chucked in because they are attached to the seats more than anything. Collection only due to the size and wight. Delivery might be possible with prior agreement at a cost of £0.50 per mile each way. 2 x Cobra Clubman Seats. Fabric is in fairly good condition but the foam in the seat backs and sides has disintegrated. A small piece of the fabric has worn through where the seat belt has been rubbing on it ( see photo ) but they are both in generally O.K condition. No runners or subframes are included. Buyer to collect. Romsey, Hampshire. Please see other items. Cobra 612 Bucket Seats *MINT CONDITION* Limited Edition Listing is for the pair These have only been used a handfull of times, just need a hoover from where they've got dusty being in storage! !! Limited edition and no longer available to buy new !! ** MINT CONDITION ** Come with rails to bolt to the floor, we're used in an E36 so may fit others! Having a huge clear out so lots of E36 stuff available! Cash on collection NR32 Happy bidding. FIA homologated to 8855-1999 - All Cobra FIA seats now are fully type approved for 2012 onwards. COBRA MONACO PRO SPORTS BUCKET SEATS. The Cobra Monaco Pro seats will either side mount or base mount. Cobra Monaco Pro Red FIA Track Race Rally Bucket Seat & Free Mounts! FREE RSA SIDE MOUNTS WITH EVERY SEAT!! The Nogaro is available in two shell materials, GRP and Carbon and with or without harness slots in a wide range of fabrics, colours and custom trim options. The Nogaro has been designed from a clean sheet of paper to appeal to owners of a wide variety of sports, classic and GT cars. Dual sided infinite recline facility. Tip forward backrest. Upholstered in soft grain vinyl with Spacer fabric centres. Colour options. "Signature range" colour options. Black leather facings with black vinyl back and centres with black piping £214 per seat. The original Cobra Clubman bucket seat was one of the most popular competition style seats available. 4 point harness facility. Extensive fabric, vinyl and leather Signature options. The Cobra Interlagos Bucket Seat is a natural evolution from the Cobra Classic. Subtly tapering back and clever ergonomics provide comfortable seating even for taller drivers. Sizing guide. Product display. The original Cobra Clubman Vinyl bucket seat was one of the most popular competition-style seats available. BESPOKE TRIM. PAIR OF COBRA CLUBMAN VINYL. Why drivers choose the Cobra Clubman Vinyl?. Not sure if this is the right product for you?. For Suzuka Pro now benefits from Cobra's unique Spacer fabric and ultra-low split cushioning for improved driver comfort and safety. 1 Cobra Suzuka STI Limited Edition bucket seat with logos. So from November the 1st 2014 you will now have this active on checkout for all your Motorsport needs. The Cobra Classic RS Bucket seat is the hallmark of an original Cobra sports seat with deep bucketed sides and comfortable, well-rounded support and is based on the Cobra Classic bucket seats. Got yourself a Classic Car, but your seats are worn and look like they need a bit of TLC?Why not replace them with these stylish, yet retro looking Classic RS seats from our UK Manufacturers Cobra! For Suzuka Pro now benefits from Cobra's unique Spacer fabric and ultra-low split cushioning for improved driver comfort and safety. COBRA SUZUKA PRO-FIT GRP MOTORSPORT SEAT. Fancy seating in each and every Cobra seat and testing what feels right for you?. It also benefits from a deeper location in the torso area whilst remaining surprisingly comfortable for long distance travelling. Narrow fixed back traditional bucket seat. Ideally suited to 'Cobra' replica vehicles and similar classics. These are harness belts made affordable! These Cobra 3 Point Clubman harnesses have the bolt in fittings with 2" webbing throughout with 3" load spreader sewn into lap belts with a push-button release. It also benefits from a deeper location in the torso area whilst remaining surprisingly comfortable for long distance travelling. Narrow fixed back traditional bucket seat. Deeper bucketed than SS for more lateral support Ideally suited to 'Cobra' replica vehicles and similar classics. 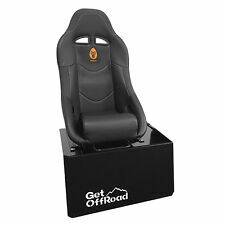 COBRA SEBRING PRO-FIT GRP GT MOTORSPORT BUCKET SEAT. The Cobra Sebring Pro-Fit Fibreglass GT is a world-class professional competition seat that has evolved from the original Sebring S to now be one of the safest and ergonomically correct seats available in the market. Cobra Classic RS. Cobra Classic RSR. Classic fixed back traditional bucket seat. Harness Slots. Not sure if this is the right product for you?. 5" higher than the other Classic seats. Low back for traditional sports and classic cars. Dual-sided recline facility. Weight: 13.4kg per Cobra Le Mans Seat. Orthopaedic backrest and lumbar support. Not sure if this is the right product for you?. Professional advice. We have finance available on all orders over £300.00. Cobra's Monaco Sport is the Non FIA Approved version of the very popular Monaco Pro Seat. The perfect seat where you are competing in events that do not require FIA Approval. mONACO SPORT. The Monaco is based around a fully steel plated design, for both outright strength and incredible rigidity. The original Cobra Clubman bucket seat was one of the most popular competition-style seats available. COBRA CLUBMAN BUCKET SEAT. Pricing: Product pricing is for a single Cobra Clubman Bucket seats. FIA WRC compliant Fire Retardant Spacer Fabric. For Suzuka Pro now benefits from Cobra's unique Spacer fabric and ultra-low split cushioning for improved driver comfort and safety. COBRA SUZUKA GRP MOTORSPORT BUCKET SEATS. Fancy seating in each and every Cobra seat and testing what feels right for you?. Excellent condition, never been used or sat on. Cobra SR Bucket Seats. Will fit, Kit Cars, early narrow tunnel MGB, Cobra replica. Really gorgeous seats. The Cobra Classic CS Bucket seat is the hallmark of an original Cobra sports seat with deep bucketed sides and comfortable, well-rounded support. Pricing: Product pricing is for a single Cobra Classic CS Bucket seat. Dual sided infinite recline facility. Reclining sports seat with integrated head restraint. Tip forward backrest. A range of colours in fabric, and vinyl or leather options enable them to fit straight into most car interiors without further trimming of rear seats or door cards necessary. COBRA Stuttgart retro classic style seat with various options. Black soft grain vinyl outers with black corduroy centres and black vinyl piping £40 per seat. Black soft grain vinyl outers with black basketweave centres and black vinyl piping £40 per seat. COBRA Nogaro "CIRCUIT " (With harness holes) finished in black Amalfi with colour centre choice and black rear shell. Isle of Wight - PO. This new, aggressively styled seat features a similar profile to Cobra's technically advanced race seats. The Cobra Monaco 40th Edition bucket seat is based on the Cobra Monaco Pro, An FIA approved Motorsport seat. Monaco is based around a fully steel-plated design, for both outright strength and incredible rigidity. The gear knob can be easily fitted onto most gear sticks that do not have a lift reverse. 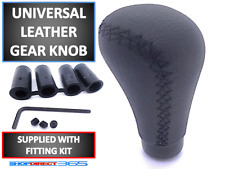 Features & Benefits of Halfords Black leather Gear Knob. • Suits most vehicles with non-lift reverse gear boxes . The Monaco Pro is based around a fully steel-plated design, for both outright strength and incredible rigidity. The added benefits of full plating give intrusion protection without compromising weight. A quality steering wheel handle / driving aid which is clamped securely to your existing steering wheel in your car, lorry or van. Steering Wheel Knob - Wooden Look. Universal Steering Wheel Knob Handle - Carbon Look. Updated for 2018, the Imola now features a taller profile to accommodate a wider range of drivers. The external flange on the front sides of the seat has been reduced to allow for fitting in narrower vehicles. Not sure if this is the right product for you?. We have finance available on all orders over £300.00. Options start from 12-48 months at 12.9% with deposits from just 10%. For further details of what we can provide for you. The Cobra Classic RS Bucket seat is the hallmark of an original Cobra sports seat with deep bucketed sides and comfortable, well-rounded support and is based on the Cobra Classic bucket seats. This is closely based on the original Porsche 911 seat. It also benefits from a deeper location in the torso area whilst remaining surprisingly comfortable for long distance travelling. Curved profiled back to maximise cockpit space. Narrow fixed back traditional bucket seat. A quality steering wheel handle / driving aid which is clamped securely to your existing steering wheel in your car, lorry or van. Steering Wheel Knob - Wood Look. Universal Steering Wheel Knob Handle - Wooden Look. 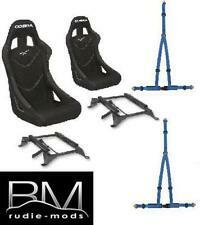 Cobra Alcantra Renaultsport Clio Megane Bucket Seat Schroth Harnesses!